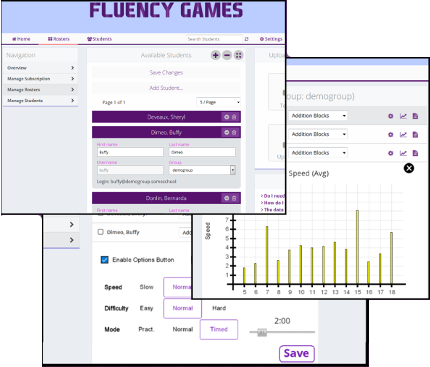 Use our Teacher Dashboard for managing and monitoring all Fluency Game Apps! Our award-winning addition and multiplication and games provide online practice to build fact fluency for all grades... and all ages! Percent Bingo, our newest addition, provides fraction, decimal, and percent practice!